The book club, open to all, meets once a month for discussion of a selected title. The library will make available extra copies of the book selected each month. Participation in the Book Club is free, and no registration is required. The next book club discussion will be Tuesday May 1st at 6:00 p.m. We will be meeting upstairs in the conference room. 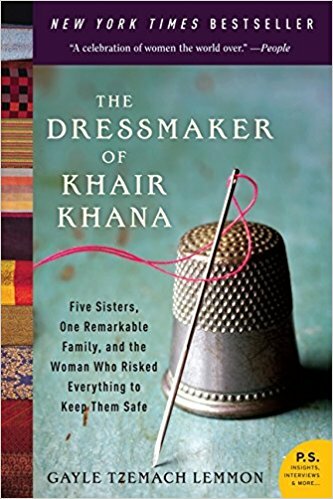 This month we will be reading The Dressmaker of Khair Khana by Gayle Tzemach Lemmon.